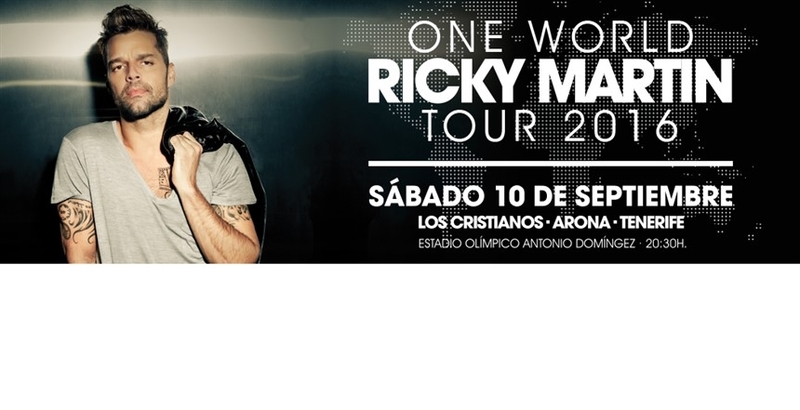 Ricky Martin is coming to Los Cristianos! Ricky Martin – world famous double-grammy award winner with multiple platinum sales – has confirmed that he will be giving a concert in Los Cristianos as part of his One World Tour. The concert will be held in the Antonio Domínguez stadium at 8.30pm on Saturday, 10 September, and tickets are expected to sell out quickly after they go on sale at www.entrees.es at midnight Wednesday night – they will be on sale, assuming any left, until midnight on Thursday night.